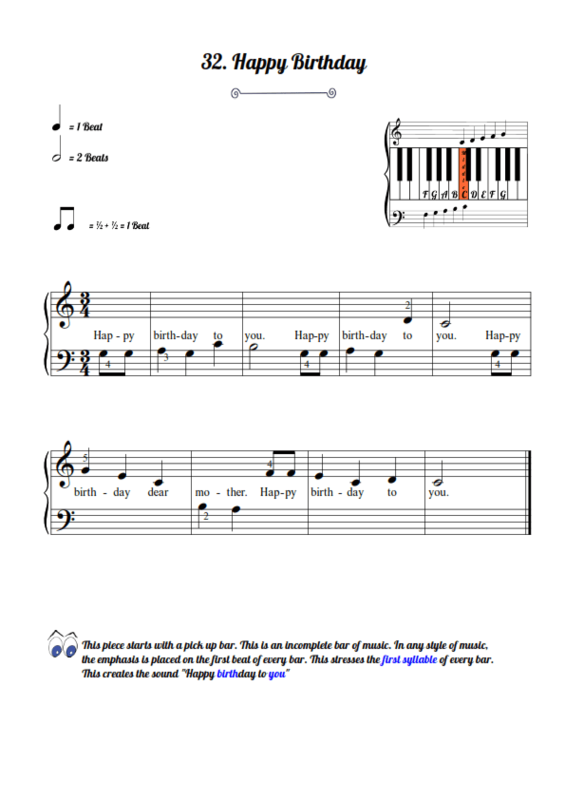 Tutor Book One is designed for the total beginner. 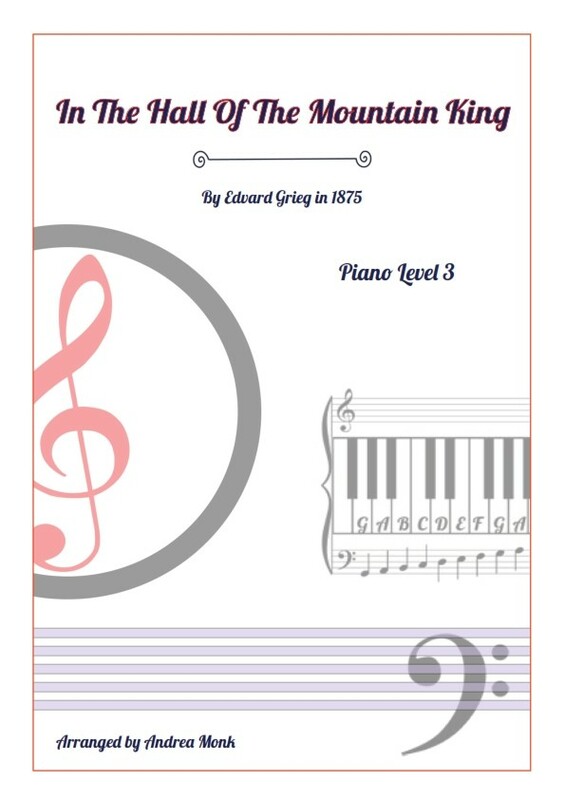 It covers posture, technique, and the names of the notes on the piano and the music stave. 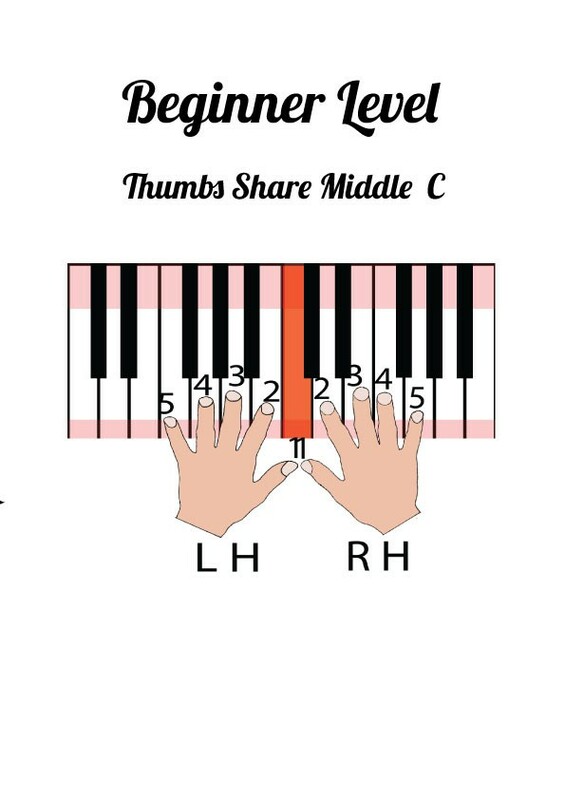 Throughout the book, your thumbs share the note middle C. You will learn 5 notes in each hand and various rhythms. All 32 pieces have either 4 beats or 3 beats in a bar. 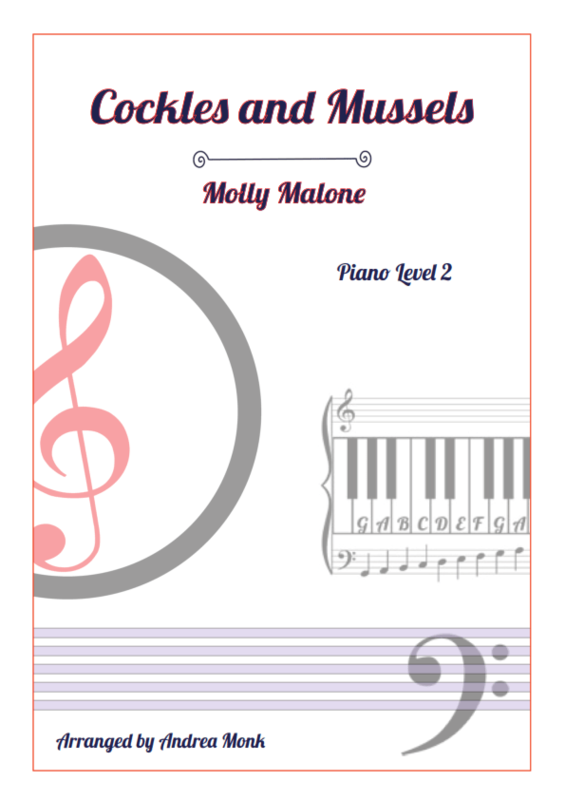 Test your understanding of the theory of music in the 3 quizzes provided. 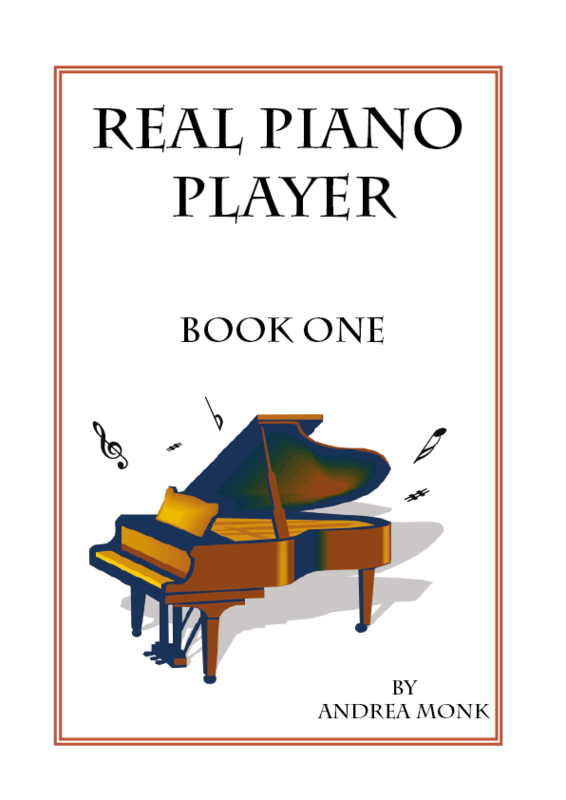 The first piece in Book One uses only 2 notes per hand. 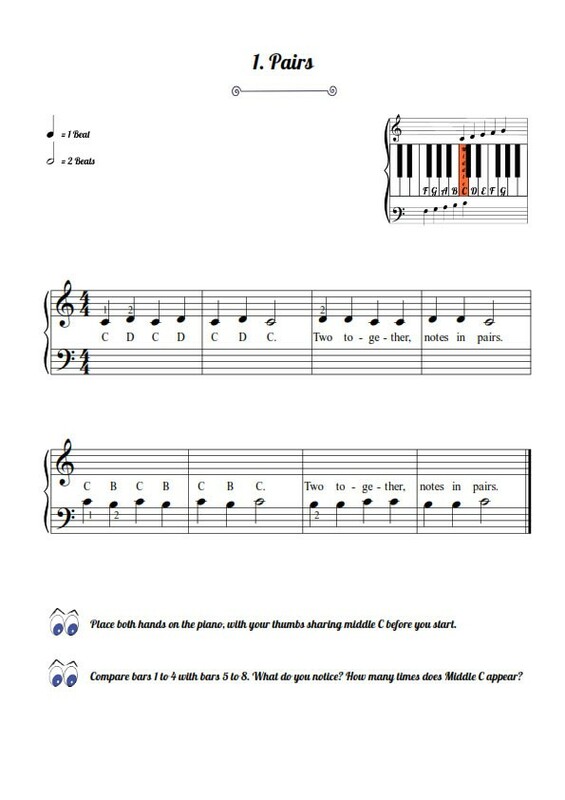 The right hand plays middle C and D. The left hand plays middle C and B. 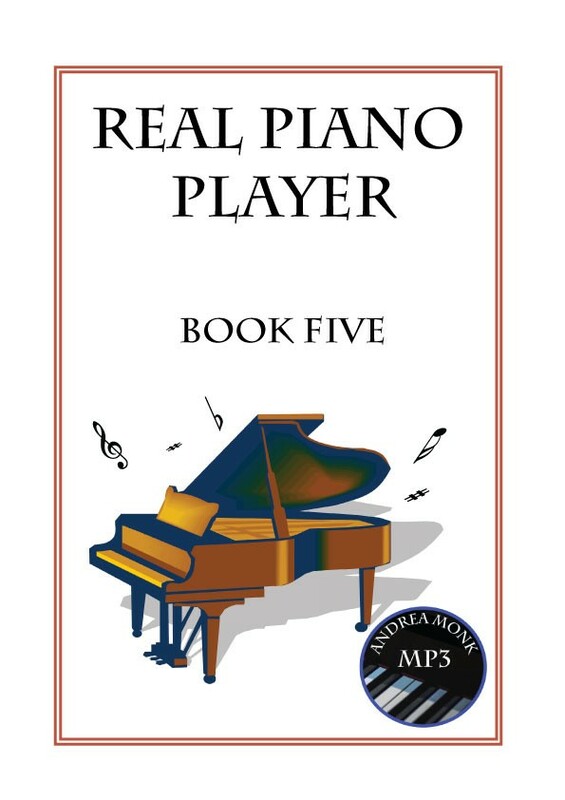 In the final piece of Book One you will be playing using all your fingers. Happy Birthday is the most well known song in the world! If you are going to print the Book, print the cover separately on card and then the Book. To print only certain pages when printing, click here for more information.